More than 30 years ago, Ray Kirby started his EMS career as a volunteer. Balancing his role as a husband, father, volunteer, full-time employee and college student, Ray became a certified Paramedic. Embracing opportunity, Ray continued his education by becoming an instructor in several disciplines, including attaining a credential as an instructor in Pediatric Advanced Life Support. As a Crew Chief and Field Training Officer, Ray has touched multiple lives as a caregiver, mentor, and trusted colleague. Several years ago, Ray suffered an on the job injury that limited his ability to physically serve as a field employee. Ray began to question his role in EMS, and at times struggled with his future in our business. Rather than dwell in his misfortune, Ray used his injury as an opportunity to expand his role as a leader and educator by beginning to work in Central Medical Emergency Dispatch. To this day, Ray continues to serve Mecklenburg County. 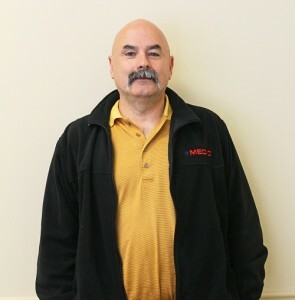 Recently, Ray has become a National Emergency Medical Dispatch Instructor. In order to achieve this credential, Ray traveled to Greenville, South Carolina at his own expense. He returned to Charlotte to help teach the first ever PALS class taught to the Paramedics of Mecklenburg County. To no one’s surprise, Ray was successful in achieving this certification and is now one of only a few employees within our agency to achieve such a status. This type of commitment defines who Ray Kirby is and how he continues to contribute to MEDIC.